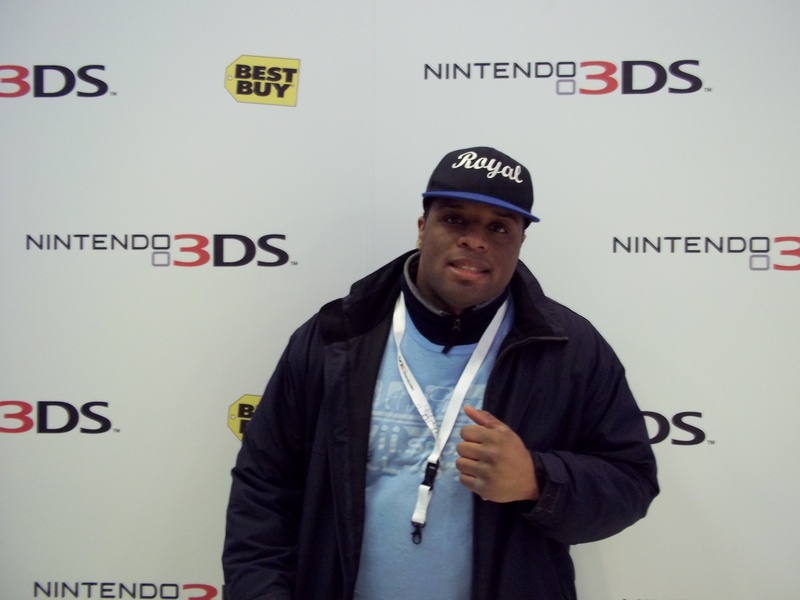 This weekend I was at my first midnight at Best Buy Union Square for the Nintendo 3DS. Not only did I get to buy a 3DS, I was the third official buyer for that system in America right before Triforce and EMP Kreumore. And the best part was I got to chill (literally) with two Smash-playing philanthropists, a coat wearing Samus, some guy wearing a bunch of Nintendo stuff, and Kreymore. The launch party was quite big. Not only did it cover Best Buy, but it took over some of the park across the street. Street team was there to demo the 3DS games but I already had my mind made up about what I wanted to get. But I did enjoy making a Mii from a photo of me. That was a neat trick. It was also nice to see staff bring in some free food and music. In the closing minutes Reggie Fils-Aime stepped out to address the crowd. Asking the crowd to throw away the 3D glasses was a nice touch. I couldn’t help but to put then on for a bit. After a 36 hour wait (yes, I waited that long) I was finally able to follow Triforce and Kreymore into the store. When I got off the escalator the 3DS’s were all lined up on a counter instead of locked up the back room. I picked up an Aqua 3DS with two games. Third place doesn’t get as much media attention as first but it still means a lot to me personally. To TriForce, for letting me take shifts in holding our spots on line between my work hours. To Kreymore, for braving that icy night…so I didn’t have to. To Zero Suit Samus, for willing to pose for pictures in spite of the insane cold. To Wes and Kubuu, for jacking my chair for a place to put their SOS Gamers sign. To Reggie, for not calling security on me when I greeted him. To Best Buy Union Square, for being such good sports overall (but you guys were stingy with the bathrooms). This entry was posted in Life and tagged Best Buy, Deadly Alliance, Nintendo 3DS, Reggie Fils-Aime, SOS Gamers, Triforce Gamemaster, Union Square, Zero Suit Samus. Bookmark the permalink.